About 224 artifacts dating as far back as the fifth century have been discovered from a 25-foot high mound in Sangalwala Tibia village, 12km from Kamalia in Toba Tek Singh district. These include terracotta bowls, animal and human figurines, clay beads, iron-made household items, coins, copper bangles and stone objects. Human remains have also been discovered. Archaeology Department has been excavating the mound for two years. The first phase began in March 2010 and concluded in May 2010 with large mud bricks and most of the pottery uncovered. The second phase lasted between December 2010 and early 2011. A furnace and some two-storey structures were unearthed. The third phase of excavation began in mid-February 2012 and will finish by June this year. Most the the relics have been discovered in this phase. Archaeology Department deputy director Afzal Khan said that the area had been examined by the Archaeological Survey of India in 1940 and declared a reserved archaeological site. Project director Maqsood Ahmed Malik told The Expres Tribune said, “There were stories about historic settlements in Southern Punjab. 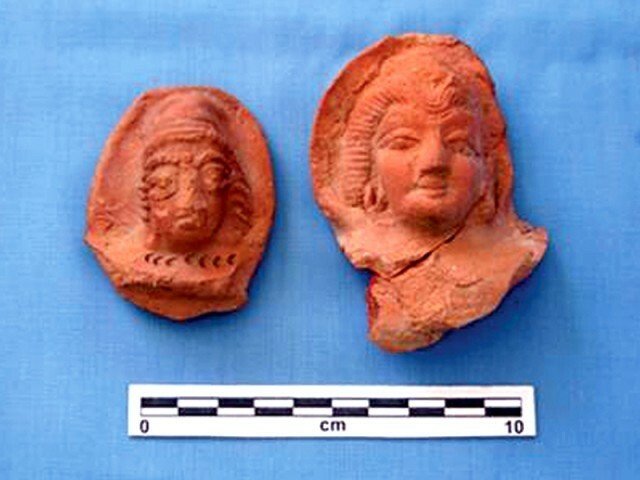 The relics discovered confirm these.” He said that the excavation would provide us insight into the history of settlements in Kamalia and Toba Tek Singh. The archeological material and architectural features show that the settlements in the erea evolved between the fifth and fourteenth centuries, he said. The main settlement belongs to the Hindu Shahi era while some architectural features suggest later settlements in the Muslim period between the eleventh and fourteenth centuries, he said. Malik said he suspected some of the features may date back to the Arian dynasty. According to a document obtained by The Tribune, the unearthed structure at the site reveals the use of two types of mud bricks that were in use in two periods: between 700-1,000 AD and between 1,000-1,400 AD. A six-member Archeaology Department team has conducted the excavation. The team led by Harrapa Museum curator Mohammad Hassan includes a Peshawar University archaeology student, a Sargodha University archaeology student, two surveyors, a draftsman and a photographer. Relics found at the site are being treated at the archaeological lab at the Lahore Fort and chemists on location.